I have some swatches for you! Let me tell you about my two new best friends: Sally Hansen Hidden Treasure and Chanel Illusion d'Or. They're kind of a big deal in the nail polish world right now. You might be wondering exactly WHY they are such a big deal. Wait until you see these pics, and all will be illuminated. -On my index finger, we have Wet 'n' Wild Black Crème under a thick layer of Sally Hansen Hidden Treasure (henceforth known as SH HT--you want to stick an "i" in there, don't you?!). -On my middle finger, we have WnW Black Crème under Chanel Illusion d'Or (IdO). -The ring finger has Rescue Beauty Lounge Orbis Non Sufficit (RBL ONS- are you keeping up with all of these acronyms?) with a thick layer of SH HT on top. -Pinkie finger: RBL ONS with IdO on top. -Thumb: WnW Black Crème with a THIN layer of SH HT on top, so you can see the difference. Funky angle to show you the full spectrum of awesome! Hidden Treasure is what is known as a "flaky" (or "flakie"). It is not made up of glitter or shimmer; instead, the polish consists of thin opalescent flakes in a clear base. They're almost the texture of gold leaf. Illusion d'Or has no flakes. Instead, it consists of gold micro-glitter in a clear base, with what appears to be small blue-ish purple hexagonal glitter pieces mixed in. These glitter pieces are duo-chrome, which means they flash one color in one lighting or angle, and a second color in a different light or angle. The effect is very subtle, though, as you can see in these pictures. Hidden Treasure- I had never used one of Sally Hansen's new "Complete Salon Manicure" polishes before, so I was quite surprised to see how fat and chunky the brush on this polish was! And it still applies well; I was pleased with how much control I had over that chunky brush. Keep in mind, though, that I have big nails- the nail beds are long. Applying Hidden Treasure might be more difficult if you have very small nails. Here's the tough part: where does one find such beautiful lacquers? Sally Hansen Hidden Treasure is part of the new Tracy Reese collection for the SH Complete Salon Manicure line, and so far it has only been spotted at Walgreens, a Meijer, and a few Rite Aids, and the locations that have it are mostly in the Midwest or California. Hidden Treasure should eventually be coming to CVS, Wal-Mart, etc.--but you'll have a bit of a wait. Retail price is $7.99, but many places sell them cheaper. Chanel Illusions d'Or is a Limited Edition polish from the Orient Extrême collection (seen at the 2010 Paris-Shanghai Ready-To-Wear show!) that is only sold online at chanel.com or in specialty Chanel boutiques, and it costs $25. Are they worth it? Personally-yes. 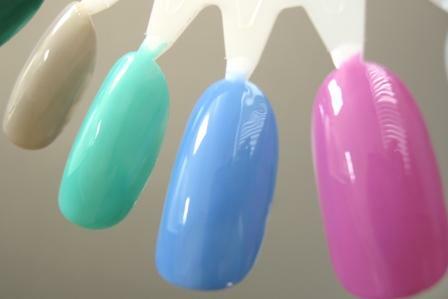 The ease of application, beautiful finish, and versatility make these polishes a good buy, even at these prices. Splurging on Chanel is not for everyone or every budget, though, so definitely consider that Sally Hansen Hidden Treasure for your bling-y layering needs. What do you think? Which polish do you like better? I'd like to take this opportunity to welcome the world to my blog. World, meet Blog. Blog, meet World. ...I was never very good with introductions. This blog with a mouthful of a name is dedicated to a delightful substance called nail polish. By way of an explanation, "erudio" is Latin for "I teach." It can also mean "I polish." Now, I realize that this translation doesn't refer to lacquering varnish on one's fingernails, but you show me an Ancient Roman who used Sally Hansen and I'll show you a bottle of Clarins 230 (also known in the nail polish world as "Unicorn Pee"). Ain't gonna happen. I'm starting this blog because I love, love, LOVE nail polish--and I enjoy talking and writing about it equally as much. A frivolous hobby? Maybe...but it's got to be more entertaining and edifying than Farmville. Also, a friend at work, who is a makeup queen but a nail polish newbie, suggested that I start a nail blog to help those who are starting out. Three years ago I had maybe one bottle of nail polish--and I never used it. I was used to keeping my nails as short as possible (from when I played piano and violin), and thought of nail polish as only something annoying that chips in a day. That means everything I've learned and all of the materials I own have been accumulated since then. So--newsflash! YOU can do it, too! I'm certainly no nail polish expert, but I want to share whatever tools and tips and tricks I've discovered to make your life easier as you begin your polish journey (*snorts* that's hilarously cheesy, isn't it?). I hope to improve my application and photography skills as time goes on, and welcome all comments, critique, and suggestions. Also, if anyone has a request for a color/comparison/wear test, please let me know and I'll do what I can to help. And, rather neatly, that aspect of the blog ties back in to the common translation of its name--I want to share what knowledge I have with others, and to develop my own skills. It's nice to meet you, World!